They’re cute…they’re cuddly…they’re back! From the creators of MADAGASCAR comes the hilarious new movie that proves global espionage is for the birds! In DreamWorks’ PENGUINS OF MADAGASCAR, your favorite super-spies—Skipper, Kowalski, Rico and Private—join forces with the elite North Wind team to save the world. It’s a side-splitting, globe-trotting adventure the whole family will love! Introduce the Penguin family to your family on March 17 when Twentieth Century Fox Home Entertainment releases DreamWorks’ PENGUINS OF MADAGASCAR on Blu-ray™ and DVD. Help the penguins skydive to the bounce house! 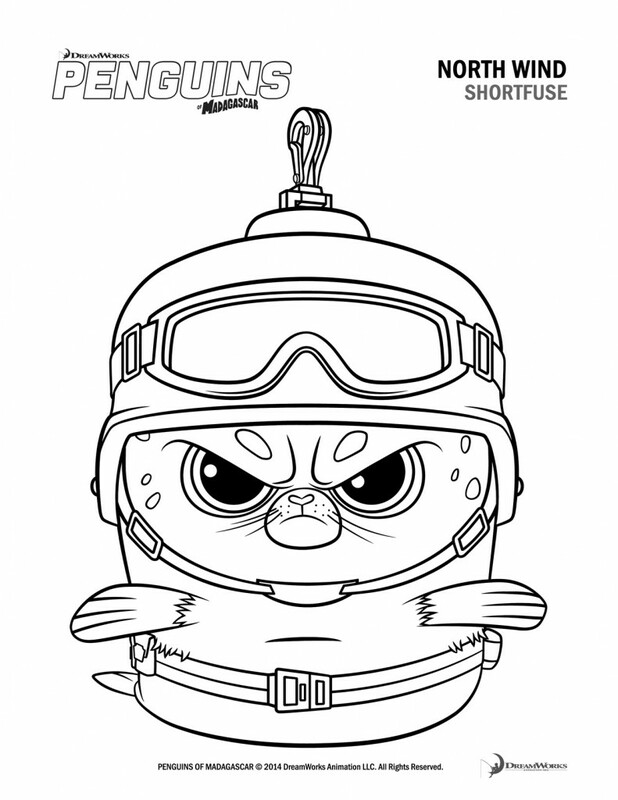 Color in your favorite characters! One of you can win a DVD. Please feel free to enter using the RC form below. Good luck! Ends 2.24.15. I want to win this for me, because I absolutely adore the penguins!! I would like to win this for my mephew. He would thin I was the greatest if I did. It sounds like a great family movie. I would like to win it for our granddaughter. Honestly, I’d love to win this for myself. I’m a huge penguin fan, and I just think they are so funny. Thank you for the chance. I am excited! I hope I win the prize for my son.He would be so happy. I would love to win this for my granddaughters Alivia and Valina. I also want to win it for my grandson Damon. They love movies and this is one of their favorites. I would give it to my son. He is autistic and loves these movies. He loves these penguins because they are so funny. If I win this I will save it and give it to him for his birthday. I’m hoping to win this for my children. I would like to watch it, too! I would like to watch it with my nephew, I think he would really enjoy it. 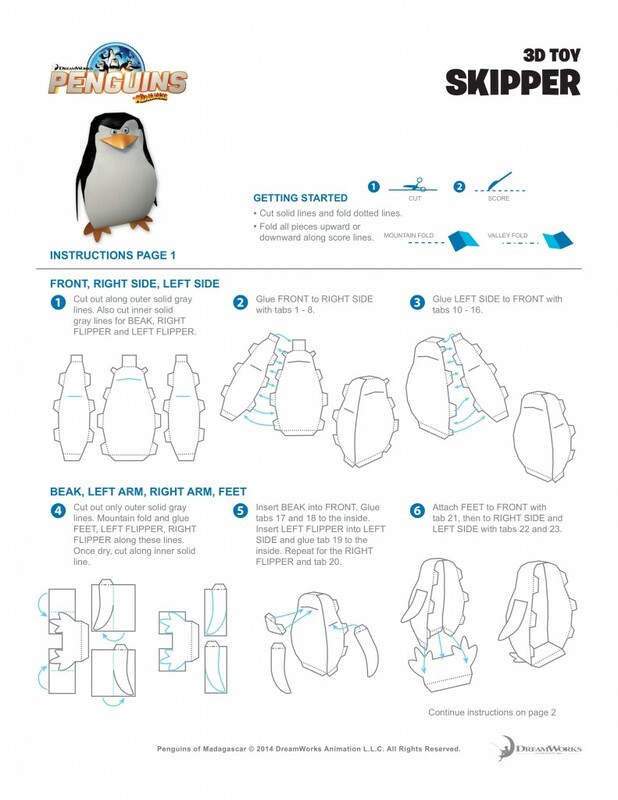 My kids love these Penguins!! I would like to win this for my granddaughter. I am excited! I hope I win the prize. I am excited! I hope I win the prize! I’d really like to win this for all the little rugrats that come over so they can watch it. I’d love to win this for my children. This is a really cute and funny show. Both my daughter and son love it. I want to win this DVD for my family. We love all the Madagascar characters but our favorites have always been the penguins. We love having movie nights at home with my daughter. She has wanted to see this movie! I would love to win it for one of our movie nights! I want to win for myself and family. We love the penguins and can’t wait to see this. I would like to win this prize for my daughter. We would like to watch it together. Who do I want to win this for? My family because this would be great for movie night. I want to win this for my son . he loves the penguin toys but has yet to see the movie . I would like to win this for our family. We did not get a chance to see it when it was playing in the theater. I would like to win this prize for my daughter. It looks like a cute movie. I would like to win for my 2 girls. I know they would love this. I want to win this for my grandchild. For our family for movie night. I want to win this for my nephew! I think he would really love this with all the penguins! I would love to win this prize for my little brother! We were not able to take him to the theaters to watch it. He loves all the Madagascar movies! We would love to sit in the living room on family night to watch it! Thank you for the chance to win! This would be for Josie. I am excited! I hope I win the prize. Id like to win this for one of my nephews or niece. They love the Madagascar movies. But so do I so maybe I’ll keep it. I would like to win this for my husband. He loves those penguins. wanna win for my nephew! I am excited! I hope I win the prize! I am excited! I hope I win the prize. I want to win this for myself. Yes I am an adult but I still love cartoons and I watch the show all the time. I hope to win this for my kids they really love movies like this. I would appreciate winning this for my 3 kids. Thank you. I would love to win this movie for my son. We enjoyed watching this movie in the theater. I would like to win this for my granddaughter. This movie looks really cute! I want to win this for my niece. Hope I win! I would love to win this for my son. I know he would love to watch it! I want to win this for my nephew. I am excited! I hope I win the prize. FYI – The You Tube link is not working to gain an entry. I would love to win this for my grandkids. I know they would love it. I want to win this for my niece and nephew. They are big fans! I would like to win this for my grandkids.We need new thing to watch when they come for the weekends. I want to win this for my kids. They love those silly penguins! I’d love to win this for my youngest sons. Thanks so much for the chance! My kids thought this movie was hilarious. Oh I would love to win this for my grandson! He would really enjoy it and we love to watch movies! It looks so funny!!! I would like to win this for my boys! This would be a combined gift for my son and daughter. 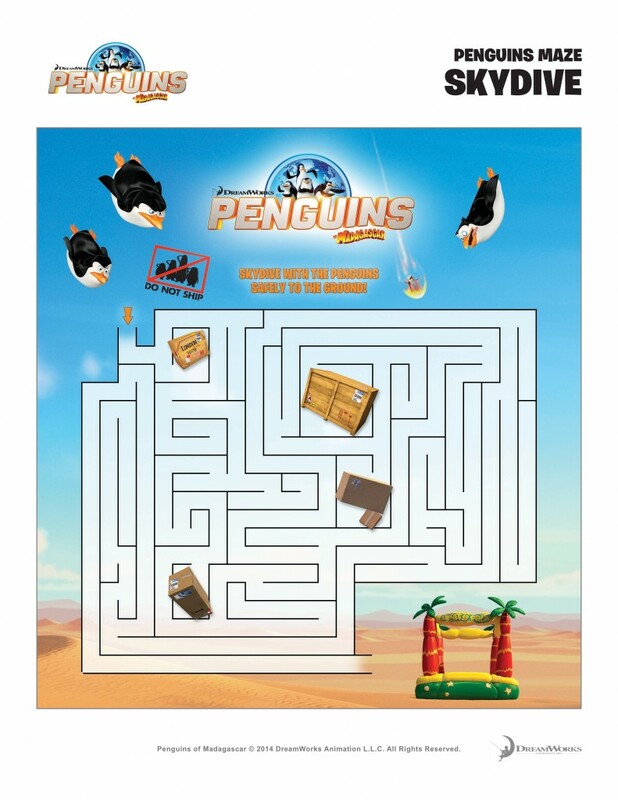 I’d love to win this for my daughter – she loves the Penguins! I want to win it for my niece and nephew. They saw the movie in the theater and loved it. I am excited! I hope I win the prize. I would like to give this to my son for his birthday. I’d love to win this for my daughter! We both love those penguins! I think this would be cute for my little neighbor. She is 4 years old. I’d love to win this for my niece and nephew. I want to win this for my daughters. I hope I win this prize! I would love to win this prize… My daughter has been wanting to see this movie so bad.. I want this for my grand children. I am excited to win this prize. I would share it with my nephew if I won it. Thanks for the giveaway. I would love to win this for my two youngest granddaughters who would love to see this movie. Nice giveaway! My kids loves the first three Madagascar movie so much that we had to buy all three on DVD. This favorite is Europe’s Most Wanted. My sons favorite characters are the penguins, so when he saw that this movie was coming out, he got really excited. They would be so thrilled to own this movie. Thanks for the chance! 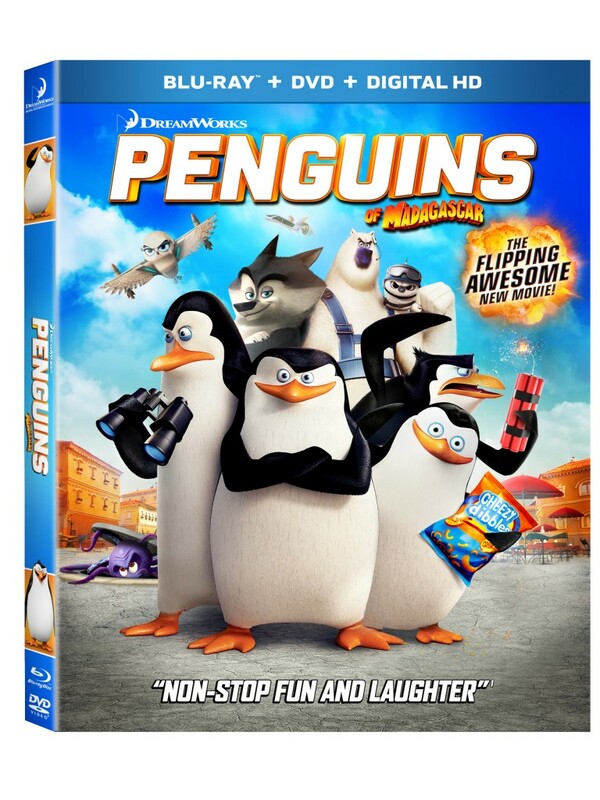 I would like to win this for our son, because he loves “The Penguins of Madagascar”. The kids will love this movie (me too). I am excited! I hope I win the prize. I would like to win this for my nephew. He loves madagascar. I would watch this first with my daughter. We would then share it with my nieces. I would love to win this for my 3 grandsons so they can watch it when they visit with me at my house. I would watch it with my wife, cuddled up on the couch during these cold winter evenings. And if my daughter come sto visit, we’d watch it again! I loved the first one and think this would be just as a cute as the first and my grandkids would enjoy watching it. I’d love to watch it and then pass it on to my niece and nephew. I would like to win this prize for my kids. Looks like a cute movie. I would love to win this for my niece. We would love to watch it together when she comes over. I would love to win this for my boys. We really wanted to see this when it came out but never made it to the theatre in time. I want to win this for my son. We missed seeing this movie in the theater Thanks for the chance!. I would love to win this for my 3 children. They really like the penguins! I would love to be able to share this with my grandchildren. I am excited! I hope I win the prize! I want to win this for my kids because we didn’t get the chance to see it in the theater! My kids really enjoyed the Madagascar movies and have loved the Penguins ever since. I am sure the whole family would enjoy this. I am excited! I hope I win the prize. I’d like to win for myself. I would love this for my daughter! Thanks for the great giveaways! I’d love to win this so I can watch it again, with my son. We both enjoyed the movie so much. I would like to win this to watch with my family. I think it would be a fun movie for a family movie night. I would love to win tis for my grandson. he would really enjoy this movie. For my nephew, he totally loved this movie, thanks! I would like to win this prize for my daughter. Thanks!